Austrian Chancellor Sebastian Kurz has met Romanian President Klaus Iohannis and PM Viorica Dancila in Bucharest on Friday. His visit comes as Romania has symbolically taken over the Presidency of the EU Council on Friday. While in Bucharest, the Austrian Chancellor warned over the important of the rule of law, but also over the recently announced emergency ordinance on taxes, that might chase away foreign companies operating in Romania. He thanked Klaus Iohannis for taking care of the democracy and rule of law in Romania. “I want to thank you for you have always taken care of democracy, of rule of law, as president. It’s crucial that the EU states take the rule of law and democracy seriously, for these underlie our life in the EU. Let’s leave in peace, freedom and welfare. Without the rule of law we would not have the necessary grounds,” Sebastian Kurz told a press conference at Cotroceni Palace. Asked if Romania is ready to take over the Presidency of the EU Council and if he is concerned about the future developments in Romania, the Austrian chancellor replied: “In terms of rule of law and democracy, maybe it is important to react when there is a negative evolution, to try to correct (…) We have to be very careful and to act when there are deviant evolution. I am glad that the Romanian President is a guarantor of these matters, that there is someone watching and reaction in order to correct”. “As far as the preparations for the EU Council Presidency are concerned, I can say that President Klaus Iohannis enjoys acknowledgement, has expertise in the Council’s activity and he is a valued partner for me and for all in the Council and the take-over is not troubled,” he added. In an interview to Digi24, Kurz has also stressed that no compromises are allowed from the basic values of the EU, pointing out that fight against corruption and enhancing the rule of law “are extremely important”. 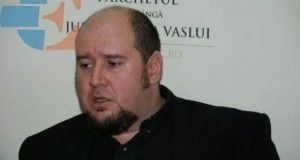 However, chancellor Kurz has also warned over the potential effects that the emergency ordinance on new taxes might have if it is adopted. 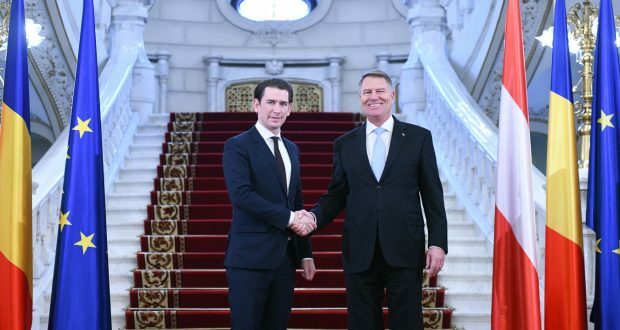 Kurz said that such big Austrian companies as OMV, Erste or Raiffeisen had already been affected after the Gov’t in Bucharest had only advanced the idea. 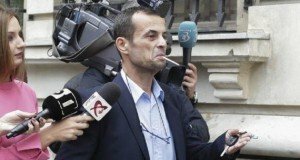 The Austrian official opined that he doesn’t worry about these companies, but he would be worried about the people who might lose their jobs here in case these firms decided to leave Romania. “To be honest, I don’t worry about the Austrian companies, there are big companies such as OMV or Erste, which are also working in many other states. Romania is a small part of their activity. But, they might might pack up their things and leave. If I have to be worried about something, I would be for the Romanian economic environment, for Romania as an investment environment. I understand things have evolved on the stock market, investors have withdrawn, that means job losses. Setting taxes also impact on the prices for the consumer. I say that, if someone wants to think to the economy’s sake, he should consider measures that are also efficient and don’t just sound good. Meaning, to avoid the situation that people lose their jobs and cannot afford things for some investors packed up their things and left,” Kurz pointed out. In his turn, the Romanian head of state said that Romania is ready to take over the Presidency of the EU Council , explaining that when he made the statement that Romania is not ready it was after Victor Negrescu’s inexplicable resignation from the helm of the European Affairs Ministry, but Iohannis argued that, meanwhile, Romania has overcome that crisis by quickly appointing a new minister, who is “an experienced diplomat”.